Detail of pipe "Jan Kloucek JanPipes - Pipe sold"
I created a pipe, which is based on a classic shape, but „I bent the space a little“. 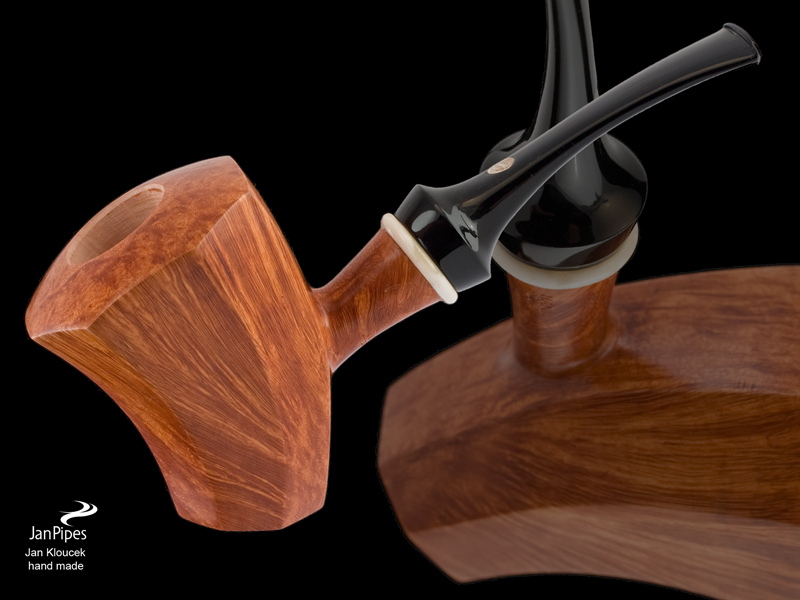 Interior design of the pipe - tobacco chamber, smoke channel and the proportion of the mouthpiece are all good old classic. It is indeed one of the advices that Bill Ashton gave me. 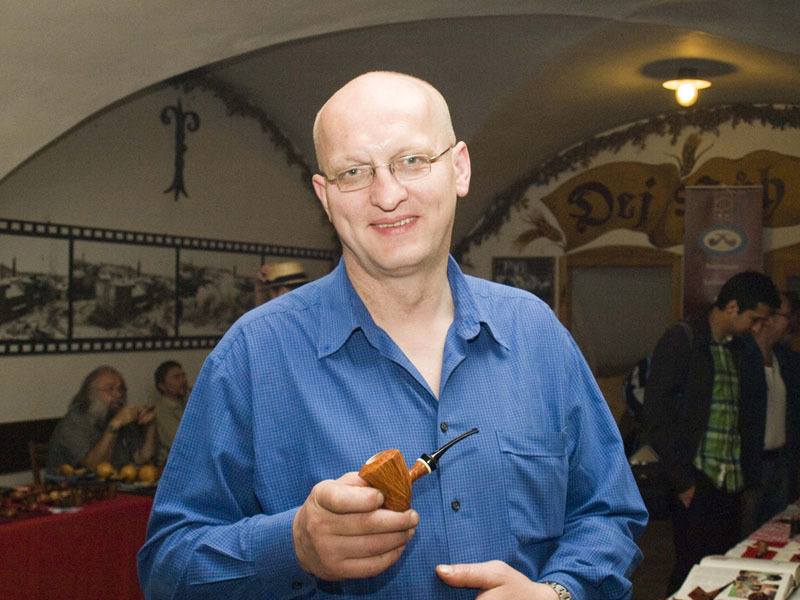 "In the early drawings of each pipe there is just the tobacco chamber and smoke channel, those are the first things that you draw and then you can draw the rest. 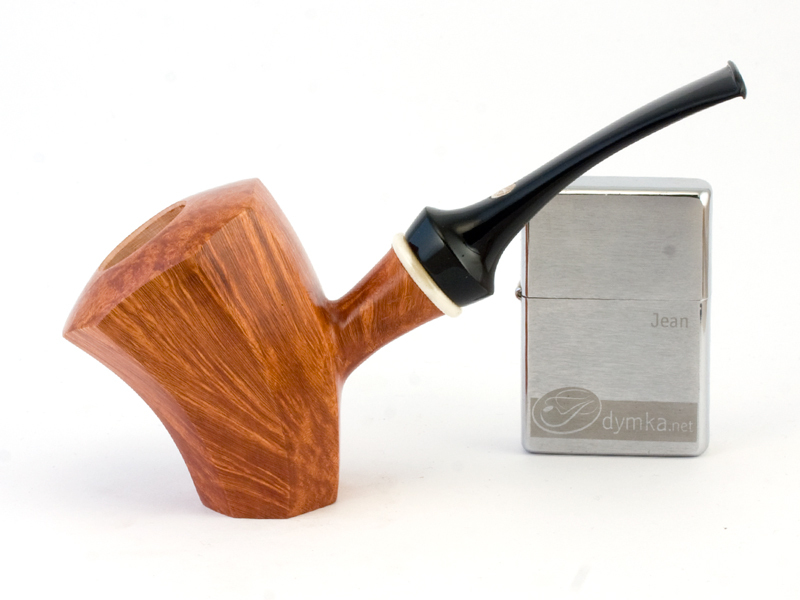 The pipe is primarily made for smoking, you can play with its shape afterwards."